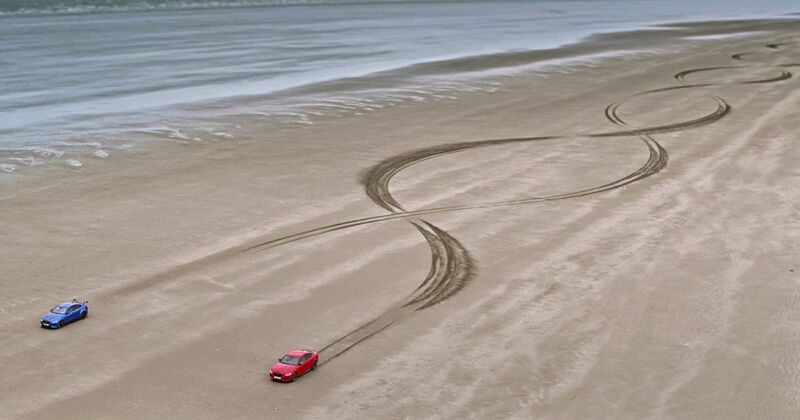 Jaguar loves a drift. 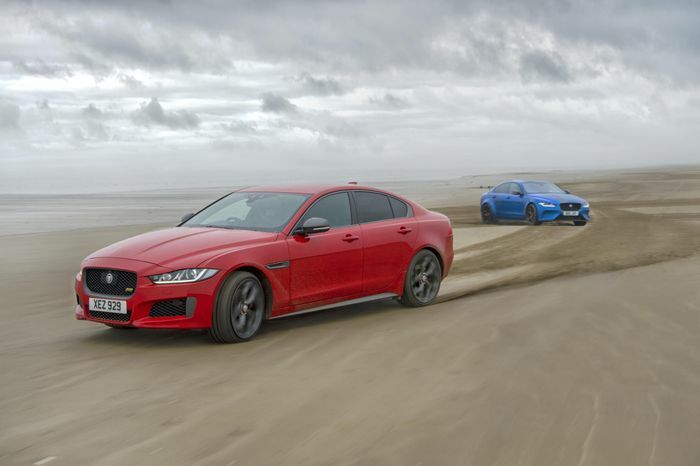 Its rear-driven V8s and V6s have been smoking rear tyres for decades, but now the brand has conjured up something especially impressive – with all-wheel drive XE saloons. It took the SV Project 8 and the XE 300 Sport, both based on the same chassis, to Pendine Sands in Wales, where in ages past British land speed records used to be set. Speed wasn’t the focus for the two ballistic big cats, though; this time it was all about getting sideways. The two cars drifted simultaneously and along mirror-image paths down the beach, creating a double helix shape that measured a full kilometre long. Naturally one car was slightly behind the other to prevent an embarrassing smash. The Project 8 has been busy. Last month it set a class record at Laguna Seca, after doing the same (with a few caveats) at the Nurburgring earlier in the year. The XE 300 Sport hasn’t been idle either. The 2.0-litre four-cylinder sports saloon recently found its way to the disused Circuit de Charade F1 track in France and set a production saloon lap record.